Love the format of comparing an older movie to a current release. This podcast has introduced me to so many ânewâ old films. Intelligent discussions, great hosts! Bravo! Revising my review. Iâd hoped it would be nice to have the band back together but the contempt they have for their audience is disgusting. Us stupid people who like movies can still boycott services who use freelance writers who call us stupid. I really love this podcast even when I havenât seen the movies. The discussions are so interesting and I love the format of comparing an older film to a new release. The hosts remain my favorite movie critics of all time. I mourned The Dissolveâs death, and am so grateful to have this in my life! NPS has thoughtful, articulate discussions comparing new and old films. The hosts are very literate in film history, but their analysis is accessible to cinephiles and newcomers alike. Easily my favorite podcast that I subscribe to. The Dissolve was the only good thing that has happened in human history. Itâs great to hear the old gang talking about great movies again. I get excited when these guys put up new content. Their reviews are so thorough and justified. This show takes a unique look at films. Rather than simply addressing new releases on their own merits as many other movie podcast do, they take a look at past cultural context and the themes that may have led to the movies existence in the first place. This is my favorite film discussion podcast and one of my favorite podcasts overall. Like a skilled sommelier of cinema, they choose excellent film pairings each week. All the hosts are great and their dialogues about great movies have expanded my views on film. You couldnât ask for better guides than the old crew of The Dissolve (among other places) to guide you through the cinema of to- and yesterday. Overall the show is pretty good and offers good insight into the movies discussed. Please teach Tasha how to pronounce picture. Itâs extremely annoying and she says the word so many times in every episode. As the show says, movies are the most interesting when out in context, and no show does it better. Even when I don't agree with their opinions(Blade Runner is as interesting as watching beach goers wipe sand from their feet, pumpkin pie and lettuce on burritos are mandatory) they make a potent case for their viewpoint, all while being fun. I really love this Podcast. I am a big movie fan and I really appreciate intelligent commentary on movies. The Next Picture Show has intelligent commentary, though I don't always agree with the critics. But, their commentary and criticism is well though out and insightful. I partiularly like the fact that the past movie being compared to a new movie is often something I have not seen. As a result, I have discovered numerous gems that I had never seen. I look forward to this every other week on Tuesday and Thursday.. Even if I donât agree with everything that they state-Iâm way more taken with the work of Denis Villeneuve than they are- I still deeply enjoy listening to them. I anxiously await the next episodes. Iâve learned to view films with a more critical eye thanks to this show. The only film podcast I've found worth subscribing to. While I still greatly miss The Dissolve, this podcast is a bittersweet consolation. Sometimes I like some listening less dire than current news analysis, and then I listen to NPS. There are many other film review podcasts, but most aren't nearly so focused. I appreciate the professionalism these folks bring--no 45 minute off-topic rambles. My new favorite film podcast! Hello! I'm a relatively new listener, as I found this podcast while searching for thoughts on David Lowery's A Ghost Story. The concept of this podcast immediately hooked me; a "movie of the week" style podcast that compared and contrasted classic films with contemporary releases? Perfect. This brilliantly simple concept pushes me to see classic film I probably wouldn't have ever seen otherwise (see: Carnival of Souls) and gives me some people to "talk" to about new releases (I'm a huge movie nerd; most of my friends and family are not). I've been going back and listening to old shows, being introduced to films I hadn't ever seen. It was wonderful. Thank you so much for all you do, and keep up the good work.P.S. I know the time for this movie's release has come and gone, but I would love to hear your thoughts on The Big Sick. Maybe pair it with Before Sunrise? I felt like the banter between the two couples was comparable. I have followed Tasha, Keith, Scott, and Genevieve since their days at the AV Club, and they remain my favorite film writers and critics. This show is a godsend in that regard, as they continue their very well thought out but fun discussions. The concept is great as well, and some of the pairings are unique but well done. If you like good film discussion with some good levity, absolutely subscribe! I wish people in cafes talked like these guys. They combine a wealth of movie knowlege, great critical insights, and some humor, to make a great show. Their recommendations have enriched my life. And when they disagree, they're professional without being boring. This is the third podcast I've followed the Next Picture Pod Crew to, and it's their best so far. Their commentary is insightful and funny, and they always bring a dimension of analysis to the material that I'd missed. Keith, Nathasha, Geneveve and Scott have great chemistry together and it's as enjoyable to hear them agree as it is listening to them argue. Love this show! The Next Picture Show is a wonderful roundtable of fim critics talking about the movies of the day and how they relate to the films of yesteryear*. It's quite nice to hear a reasonable discussion of the pairings of films they choose. *It's fun to be able to use yesteryear in a sentence! Intelligent, Friendly Conversations about Film. I love this podcast but I simply cannot hear Keith when he speaks! The sound in this podcast is all over the place - please pay more attention to the sound editing. I listen to a number of movie podcasts, including the "mothership" Filmspotting, but this is my favorite. Rather than getting bogged down by the most recent films that studios want to focus on, they spend at least equal time with films of the past, givine me insight on why I love the films I love, or what the next film is I should add to my movie buff list. I love the comradarie and good times as well. The worst decision that this podcast made was separating its conversations and, frankly, it's entire conceit into separate episodes. Not just separate episodes... separate hour long episodes that have no other structure than just a very long, over wrought and very unedited group review about a single movie. The conversation could be interesting except that it is a round table of a bunch or white people that mostly just agree with each other. The worst moments are when they start insulted a film or joke about decisions that were made and they all start taking turns trying to pump each other's insults up instead of actually breaking it down and deciding if what they are saying is valid or even if they agree with it giving the group a mob mentality. I love the group dynamic of this podcast. Such a difficult thing to achieve in a podcast! The commentary is always thought-provoking and the conversations vibrant. I love the concept of this podcast: placing current film in historical context. I hope one day they bring back the game segment they used to do in the old Dissolve podcast (RIP). This show has the gift of being smart without pushing itâs intelligence on you. They are are neat people, and itâs cool when they disagree. Also really makes me love movies more! A wonderful podcast that will become your new favorite podcast and essential listening after you catch any new release. The hosts had one of my favorite podcasts previous to this and I am very glad they are back together. Because of the format the show has plenty of time to dive into each of the pair of films and the subject they chose for the week. Since there are multiple people they have a good mix of differing opinions and ideas that bring to each film and it works great. I started late on the podcast so I need to catch up soon. Since the death of The Dissolve (a defunct website belonging to these podcast-runners), I've greatly missed a certain tenor of discussion in the film criticism I consume. Still, I didn't truly realize what a relief it would be to find that again until I began listening to this podcast.Listening can be a bit daunting at times, since pairings typically rquire that you 1) have seen both films and 2) are willing to give over two hours to a discussion of them. I could also see someone being intimidated by the complexity of the discussions, but obviously that's a virtue. The Next Picture Show is consistently a high point of my week. In a way, hearing Tasha, Genevieve, Scott, and Keith's analysis is like going back to the best parts of college as an English major, except in reality, gems of insight from books or movies were usually outweighed by tangents, concerns about grades, distracting or stupid comments (often coming from myself). Their podcast manages to consistently be interesting, on topic and insightful.The former critics of the Dissolve have insightful thoughts about movies I've already seen and and great analysis of movies that fatherhood keeps me from seeing (which is most of them these days).I've listened to every episode so far and have loved every one. Been listening since the beginning. Hands down one of my favorite pods. Love the discussion about some of my favorite films and the chemistry is hard to beat. I've missed this crew so much since the closing of The Dissolve so I was excited to learn about this Pod. Scott and friends don't disappoint. The format is clever, exposes us to new films while reappraising similar works from the past. Readings of the material are mature and nuanced but avoid the pretense all too common in other film pods. Informative without being pedantic or condescending. Loose and conversational yet never meandering.Perfect. Thanks all, great to have you back. 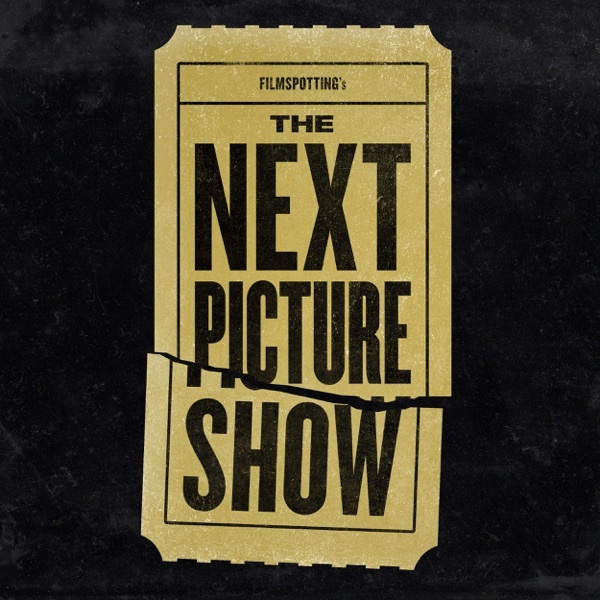 I love the Next Picture Show's premise, which finds thematic links between old and new films as the basis for fun and insightful discussions.The hosts are all well-versed in the field, and yet they regularly find unique perspectives on the films at hand rather than merely echoing each other.A great way to both discover new films and revisit old favorites from a fresh angle.Highly recommended to both casual and avid lovers of film. I never really read The Dissolve, and now every two weeks I get to kick myself for being that stupid. One of the best film podcasts around. I listen to a lot of podcasts about film and this is one of my favorites because of the unique conceit. Pairing recent releases with classic films provides a good amount of depth and is a refreshing change of pace from shows that focus strictly on new releases or top 5 formats. NOT THAT THERE'S ANYTHING WRONG WITH THAT. Filmspotting, the Slashfilmcast and The Film Vault are also very good but this show has a really good format and the hosts all do an excellent job. Enjoy. Solid discussions, detailed insight, and roll on the floor hilarious jokes. Look forward to every episode. I have been following the work of these wonderful film critics since their days at the AV club. I was thrilled when they formed the Dissolve, and enjoyed the Dissolve Podcast immensely. Imagine my joy at finding the Next Picture Show Podcast. Tasha, Scott, Keith and Genevieve have delightful chemistry, and when I listen, I always feel that I am in the company of movie-loving friends. Thank you for enhancing my movie-watching experience and please keep the episodes coming! Terrific podcast and the next best this to the late, lamented Dissolve. If you are a film fan, dig it! If someone reading this has even a remote interest in film, introducing yourself to these journalistic, wonderful minds is an essential step in creating a perspective on culture and cinema that will allow you to experience film in new and exciting ways. The Dissolve and the community that loved it lives on! Have been listening for a few months now and with all of the great film that is already out there, why hasn't someone thought of this idea before? Pair an in-depth critical discussion of a new movie with an older movie. Sometimes the comparisons are more obvious ("Spotlight" and "All the President's Men") than others ("Finding Dory" and "Memento"), but the discussion between these smart ex-Dissolve and Onion AV Club film writers always, always reveals new new insights. A great group to hang with -- if you're new to this one, definitely check out the archives. Great film podcast that dissects current releases in a unique, unpretentious manner. The Dissolve was the greatest website for film criticism and discussion, and it broke my heart to see it go. I'm so happy that The Next Picture Show helps The Dissolve live on through these enjoyable and insightful discussions.